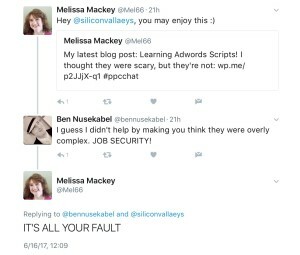 A well-deserved finally for Melissa Mackey of Beyond the Paid as she dips her toes into the waters of SEM automation with AdWords scripting. 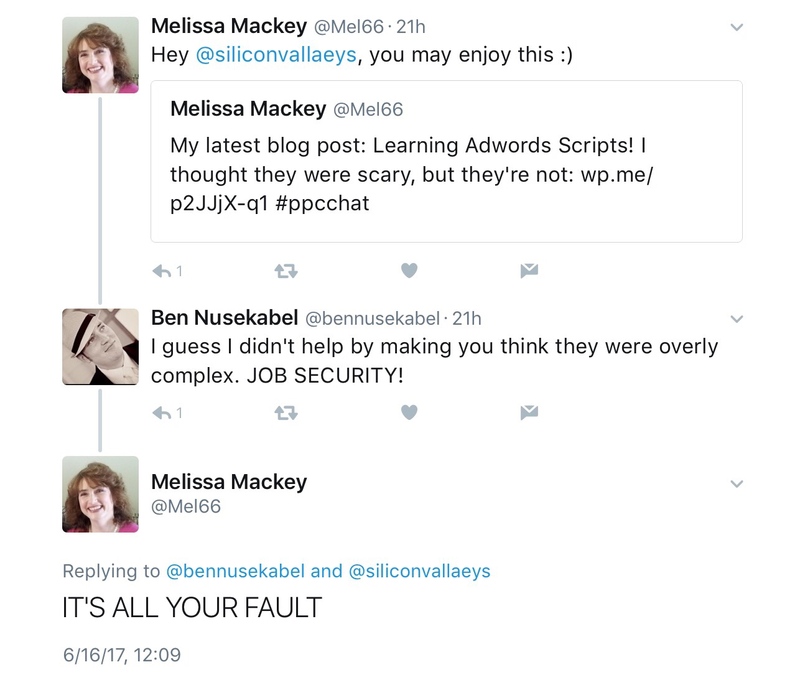 When I was working with Melissa I was in charge of setting up scripts for her clients, and the rest of the agency. What I was doing wasn’t overly complicated. I stole some scripts more knowledgeable coders were putting together. The simplicity of these tactics, however, didn’t mean lower returns, however. One of the scripts I remember actually added much-needed functionality to the AdWords platform, Quality Score tracking. The script would log the Quality Score of all keywords in the platform every week. The team could then look back, and discover trends. I think I even modified the code to allow for sorting, calculating week over week differences, and more. Welcome to the world of automation #PPCMoses.